The reason for this quick blog post is that Bitcasa currently have an opening special offer where you can get the whole thing for 69 US$. Apparently until the end of February. However: having tested Bitcasa for a couple of weeks now (when it was still free for beta testers), I have to say: nope. I’m not paying for this service just yet. There are too many problems. Little bugs, glitches and inconveniences that just don’t make it feel right yet. Don’t get me wrong: the support is fast and doing a good job, but I’ve spent too much time with this already and if I pay, I want it to save time for me. I was thinking: okay, if this offer is about 69 US$ yearly subscription fee for ever, then I would actually consider signing up. But unfortunately, Bitcasa told me that the 69$ is only for the first year. The thing is that Bitcasa is simply not out of beta stage. They seem to sense that themselves, as their blogpost announcing the end of the beta phase is entitled “The End of Beta as You Know It”. Haha. So now we’re in beta-v2, or what? A few weeks ago, I told Bitcasa support that I think they should be honest revert to alpha. But I guess investors are standing in the door, tapping their fingers. I hope they won’t ruin it. Anyway, I will wait another year or so, until my harddrive is overflowing or so, and reconsider a paid account. For now, I signed up for a four year Crashplan+ Family Unlimited account. It’s not the same thing, but it also offers infinite storage and since I was mainly looking for online and automatic backup, it’s clearly the best option for me at the moment. The good thing is their risk-free cancellation policy, which means you can cancel anytime and get the money for the remaining months back. So unless you’re short of cash, there is no reason to sign up for any subscription shorter than 4 years, as that is the best value for money (around 9 US$) per month. It’s the most expensive web-service that I have so far subscribed to, but when I almost lost years of work a couple of weeks ago, I decided: I need to start backing up properly and I want it to be easy and convenient, so I guess I will pay for it. 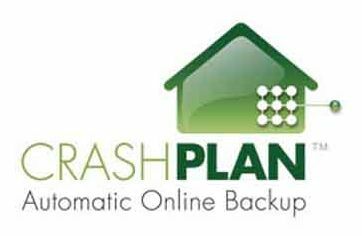 Crashplan is not just for backing up and restoring to the same computer but you can selectively restore to any computer. So you can access all your files from anywhere too, just not as comfortably as in Bitcasa. In the longrun, this will be Bitcasa’s advantage, but for now I’m fine with Crashplan. Finding older versions of a particular file is not well solved in Bitcasa (check out their forum, where many people are suggesting to change the system, which currently requires you to know the day when that file was last changed.) In Crashplan, you can just select the file and see the different versions that have been backed up in a list and select the one you want. I managed to install Crashplan on on my ReadyNAS Ultra at home, which means that those 2 TB will also be backed up. Plus: I can also use my NAS as a secondary backup, in addition to CrashplanCentral. Since the idea of Bitcasa is not to backup the harddrive on my computer or my server, but to replace it, this feature is, and probably will not be available from them. And what are your experiences with Bitcasa and/ or Crashplan? Unfortunately, PlaceBar Editor was originally written for an older Windows version so that it doesn’t directly support the Windows 7 Libraries but I’ll show you how to had Libraries to the Places Bar anyway below. Well, and the rest is pretty self-explanatory. Except that you need to know that (i) you need to “save” before you can “test”, (ii) you cannot just add a folder to the default folders. Once you start changing the places bar, you got to tell Windows every single folder you want displayed as it will forget about the defaults immediately. 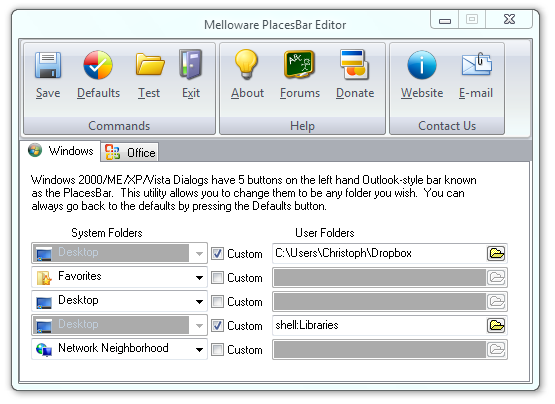 I would like to mention that if you have Windows 7 Professional, Ultimate, or Enterprise, you don’t even need to download the Places Bar Editor from Melloware. You can just use the Group Policy Editor that is included in these versions of Windows. Just type gpedit.msc in the Search line of the Start Menu and press Enter. 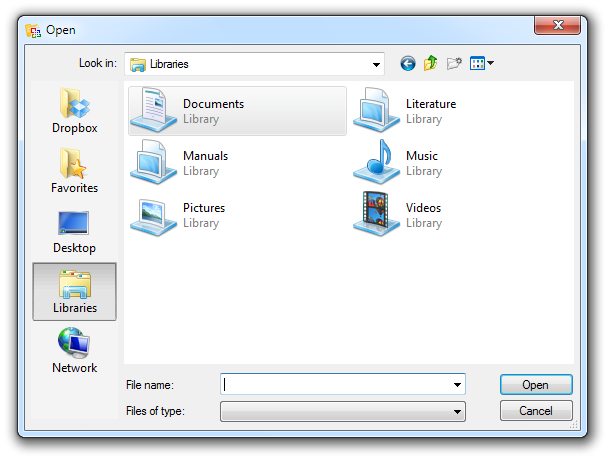 Then go to User Configuration -> Administrative Templates -> Windows Components -> Windows Explorer -> Common Open File Dialog. Then Right click on “Items displayed in Places Bar” and take it from there, similarly to the Places Bar Editor. I think I should add dropbox to my list of good applications. Obviously, the qualities of dropbox are not a secret, but I have been using it now for a couple of months and I have no reason to complain about it (and I like to complain!). If you’d like to try dropbox for free and get an extra 250 MB on top of the 2GB free storage space, use this link (it will also give me 250 MB extra). But now to the main point of this post: I just spent some time reading about other cloud storage services, and found that SugarSync is actually a serious alternative to dropbox. Check out this really excellent review by Jack Busch (see also the recent comparison by Matt Smollinger)! And note that the SugarSync bonus program has been extended until the end of March 2011 31 May 2011, so if you use this link to try it out, we’ll both get 500 MB extra free. Personally, I have yet to try out SugarSync in practice, but it looks like I will be using both: Dropbox to sync my daily work and frequently used files (because of dropbox’s speed and 30 days undo history) and SugarSync for my large pdf library (because of the larger free space and cheaper upgrade option) and other files that are rarely changed but that I still want to be accessible anywhere (Sugarsync’s fee plan only gives you access to the last two versions of a file). P.S. If you are also annoyed by dropbox only syncing what’s in the dropbox folder, check out the option to sync any folder – as it were – by using symlinks. One big advantage of Sugarsync is that you can choose any folder to be synced (no need to put them into the dropbox folder).